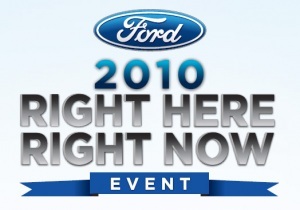 The new Ford of Canada incentives starting October 1 2010 include the Right Here Right Now Event which consists of 0% financing on select vehicles, new dealer rebates and the very popular Ford Winter Safety Package. The Ford Costco Rebate and the Recycle Your Ride Rebate have been extended. All these incentives are combinable with the Ford XPlan program which results in a fantastic combination of incentives for the employees of Ford suppliers. New incentives announced by Ford of Canada September 1st 2010 include enhanced rebates on 2011 models and the return of the Costco Rebate.